Camping as it is so exhilarating, and if it is accompanied with camping tents that are unique and trendy, it is like icing on the cake. Here is a list of some modern and very cool camping tents you can get the hang of to make your camping trips even more fun and memorable. These are see-through inflatable tents that look like fish bowl aquariums. While resting inside in a home-like environment in this camping tent, you can feel too close to the nature, as you can have a close and crystal-clear view of the incredible surroundings. Having an adventurous, an exhausting camping day, and then struggling to open and assemble your camping tent in the evening, nothing can be more frustrating than this. 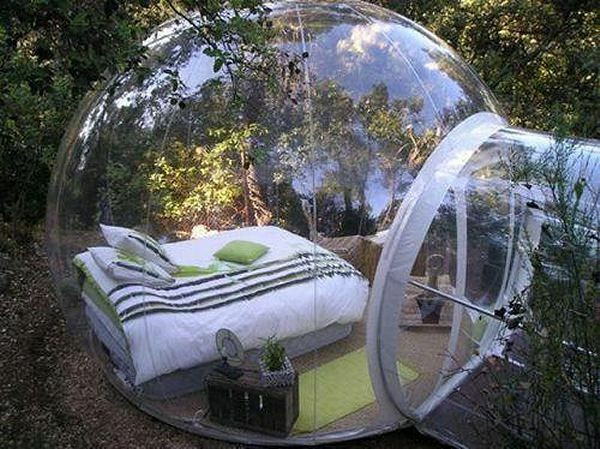 However, you will never experience this situation if you pick the 2Seconds camping tent for your camping trip. 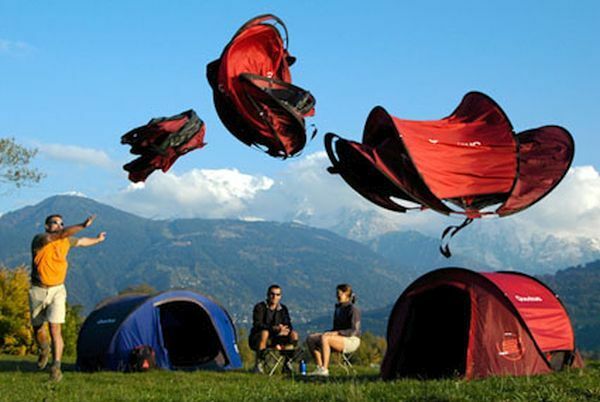 A tent that opens and assembles on its own, you just have to throw it into the air and watch it pitch on its own. The fiberglass spring hoops in the tent pop open when you throw it in the air and lands down as a full-fledged camping tent. 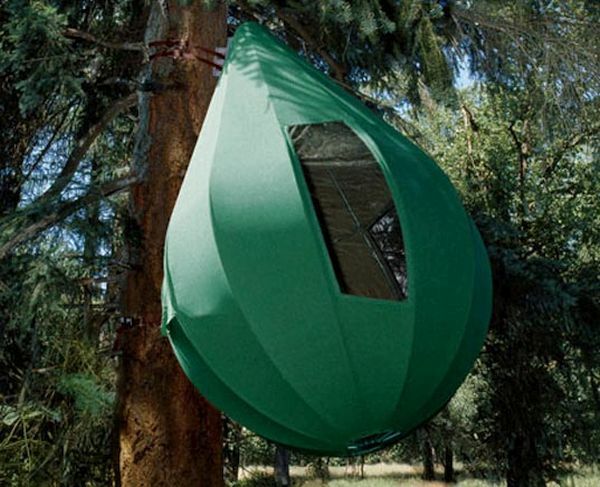 This tree tent is both stylish and functional. You are supposed to hang it from a tough branch and a spacious and a comfortable camping tent is all set to be used. It is a thirteen feet tall tent with a diameter of nine feet. This tree tent comes equipped with a hardwood-sleeping platform and a round mattress, which makes this tent ideal for two adults and two children to sleep at a time. 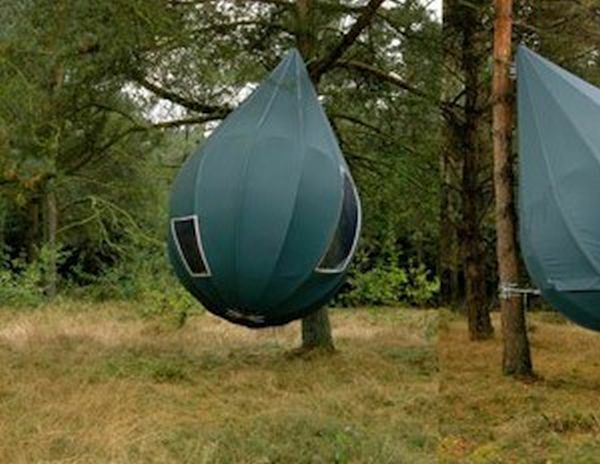 This camping tent is not only cool and futuristic but is environmental friendly as well. This tent is equipped with solar panels that gather sunlight in the daytime and help you charge all your gadgets in the evening while you are out on a camping trip. 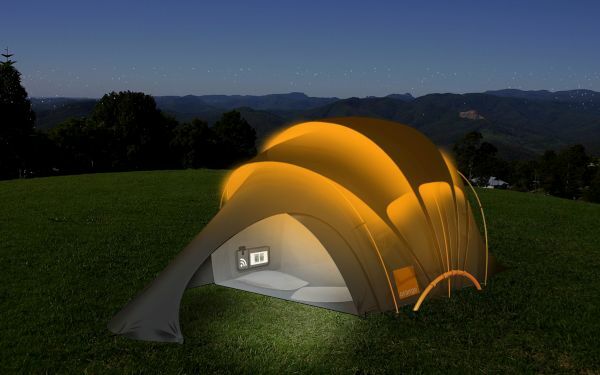 One more very innovative feature of this camping tent is its “glo-cation” technology. When you are unable to trace your tent in the dark, you can trace their location using your mobile phone, and the tent glows in the dark, thus, making it easy for you to trace you tent. Gone are the days when the camping tents only used to be a thing that campers used to sleep in after an exhausting camping day. The camping tents of today are cooler than ever before, they are more functional and all the more comfortable than the traditional camping tents.